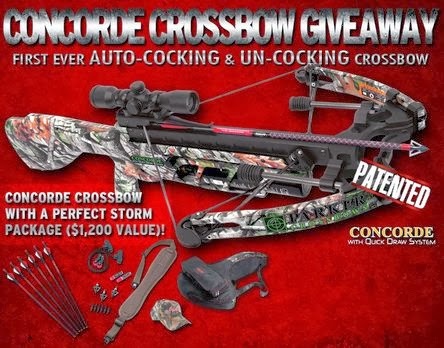 Parker is giving away a Concorde Auto-cocking crossbow with a Perfect Storm Package to one lucky Parker Facebook fan! This giveaway is worth over $1200.00! Click the link below to go to the Parker Facebook page. Once on their page, "like" them & then enter your email address for a chance to win!